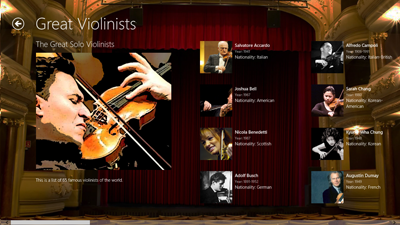 The United Academy of Music - Windows 8 Development center is concentrated in developing apps for the Windows 8 Store. 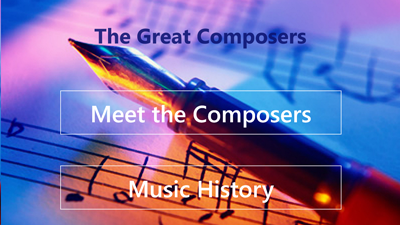 As we are an institute of music, our apps are mainly in the music and education fields. If you have some ideas on a new kind of music app, you are welcome to message me. You can leave a message on the Support and Feedback page, or drop me an email. Here are our latest apps available. 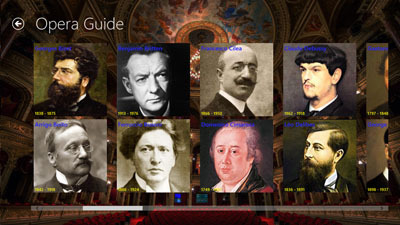 The Opera Guide introduces 110 famous operas composed by 48 composers. 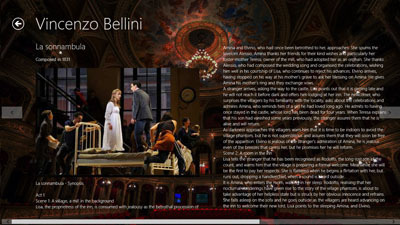 Each opera has a stage photo, a full synopsis, year of composition and premiere. 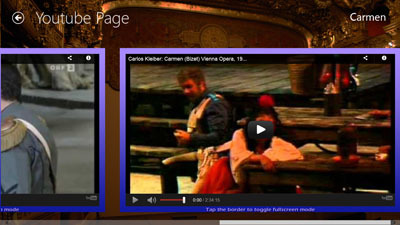 A detail description of each opera from Wikipedia, a full opera video and two excerpt videos from Youtube. Wikipedia and Youtube need internet connection. 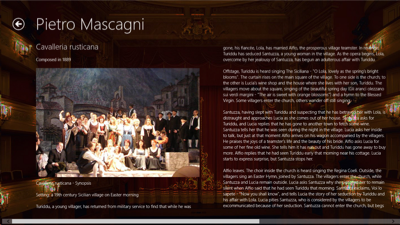 For your understanding, there is a synopsis of each opera telling the story. 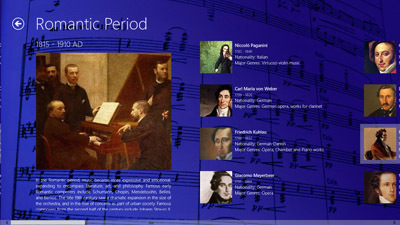 There is also a description of each composer, and details about what is opera. 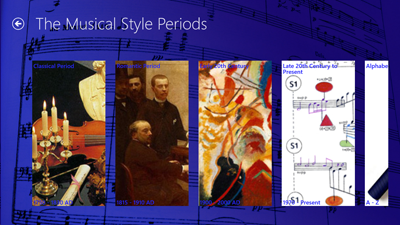 Selection of operas from Baroque to 20th century. 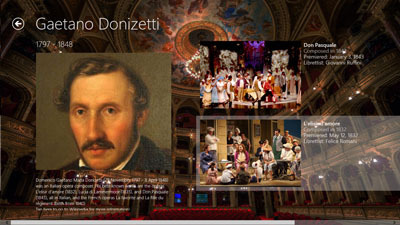 Opera composers includes Verdi, Wagner, Puccini, Donizetti and many more. 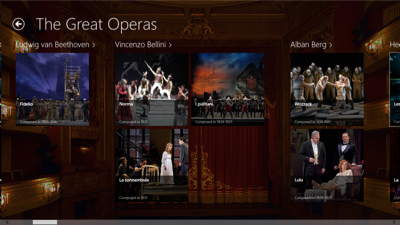 Opera includes La Traviata, Der Ring des Nibelungen, Turandot, Lucia di Lammermoor and many more. 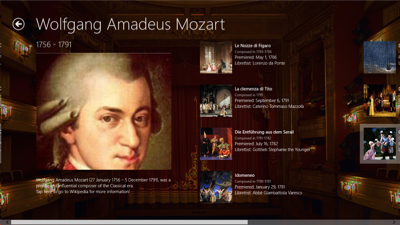 Regular length of each is about two hours, 110 operas give you 220 hours of entertainment! 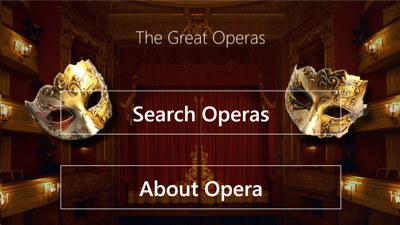 The opera video are sung by the world famous singers, such as Pavarotti, Domingo, Callas, Sutherland etc. And they are staged in the world famous opera house, such as Royal Opera House, Vienna States Opera House, Metropolitan Opera House etc. Great opera touches everyone's heart! 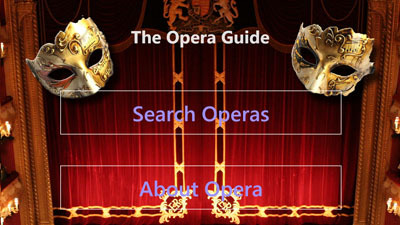 If you are an opera lover, music student studying opera, or just a beginner try to understand opera, this app is just for you. 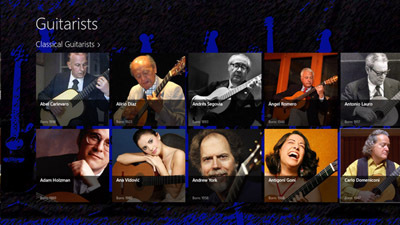 The Great Guitarists introduces 106 famous guitarists of the world. 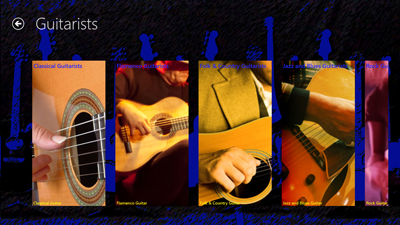 Including Classical Guitarists, Rock Guitarists, Flamenco Guitarists, Jazz and Blues Guitarists, and even some Folk and Country Style Guitarists. 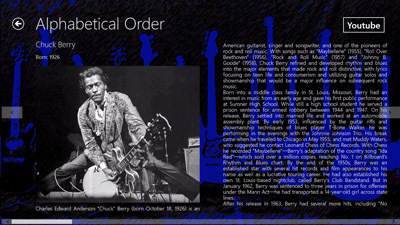 All the guitarists contain photos and detailed biographies. 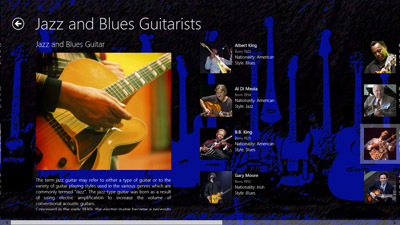 Youtube music links are added to each of the guitars, so you can watch YouTube video of the guitarists. Youtube links need internet connections. 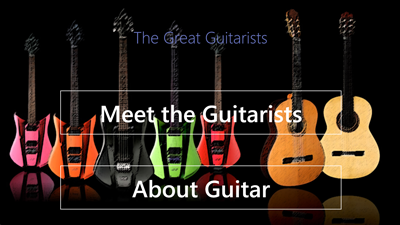 Besides informations about guitarists, there is also a detailed PDF describing everything about guitars, and also a detailed PDF about different guitar styles. 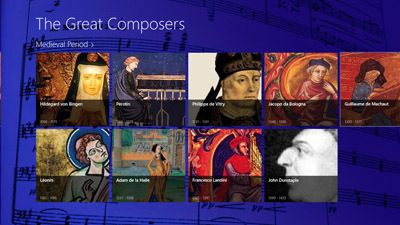 The Greatest Operas introduces 110 famous operas composed by 48 composers. 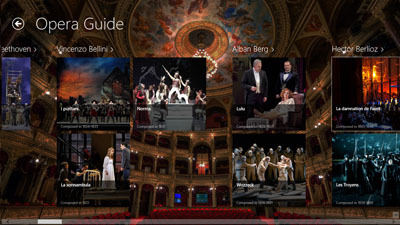 Each opera has a stage photo, year of composition and premiere. 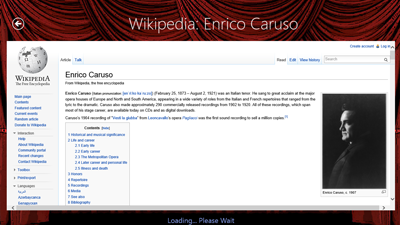 A detail description of each opera from Wikipedia, a full opera video and two excerpt videos from Youtube. Wikipedia and Youtube need internet connection. 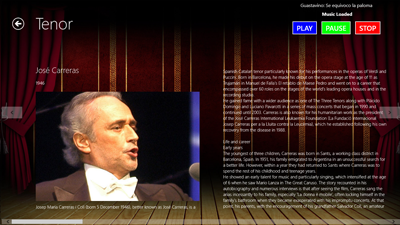 Great Singers introduce 101 classical singers, including the legendary Caruso, Callas, Pavarotti etc. 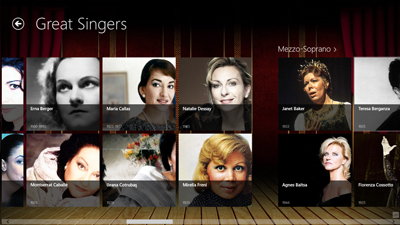 You can search the singer with voice typed categories: Soprano, Mezzo-soprano, Contralto, Tenor, Baritone and Bass. 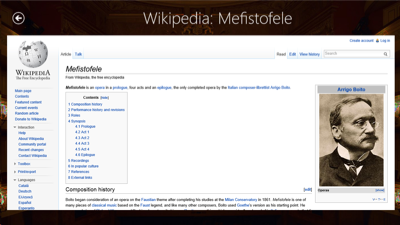 There are also Wikipedia page to introduce the voice type, Singing and each of the Singer, (Wikipedia needs internet connection). 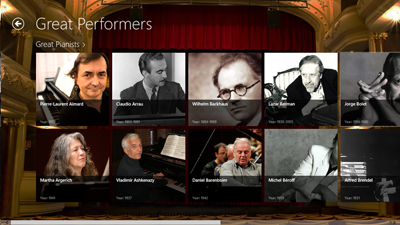 The Great Performers app introduces you 60 famous pianists, 65 famous violinists and 30 famous cellists. They are the great performers introduces of the world in the 20th and 21st century. 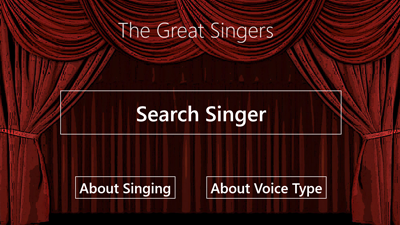 The performers are grouped into three groups, you can browse them in their category. 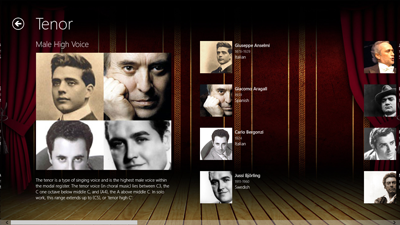 Every performer page contain a high resolution photo, a detailed biography and a represent music file of the performer. The total performers included are 155, so there are 155 pieces of music mp3, and they are all included in the app. 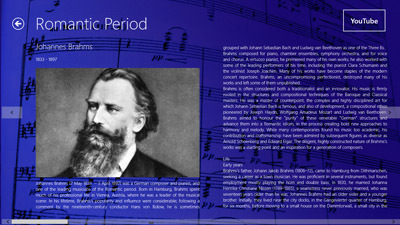 The total time play of the music files exceed ten hours. Each performer has two links to YouTube videos and a wikipedia or related web page, which will need internet connection. 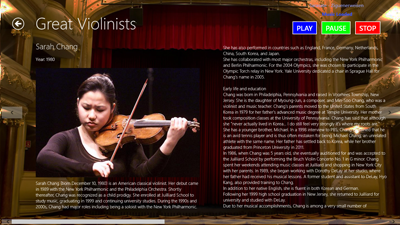 Through the detailed biography, you can learn how they succeed to be a great pianist, violinist or cellist. Who are their teacher, the awards they received, etc. 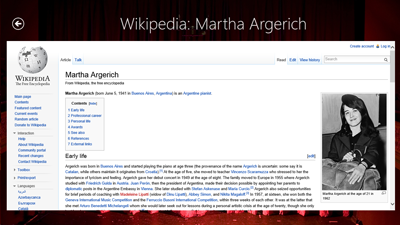 The Youtue and Wikipedia link are on the performer detail page bottom app bar. You can access them with a right mouse click or sweep your finger from the top or bottom edge of your device. 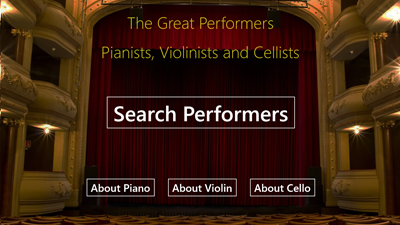 Whether you are just a music lover, piano, violin or cello lover or a pianist, violinist or cellist, this app is just for you. So, download and enjoy! Please state the app name, the OS and device using!